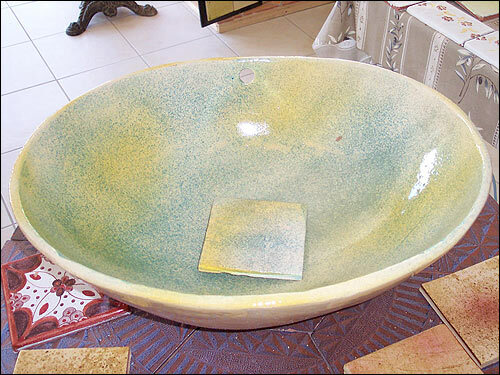 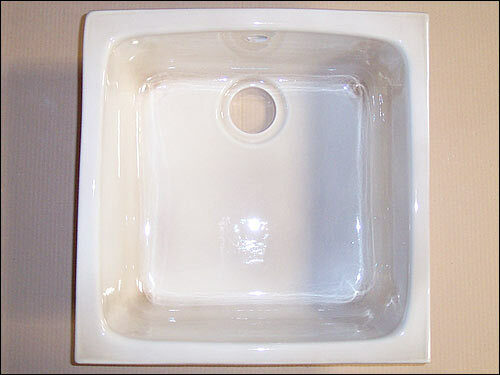 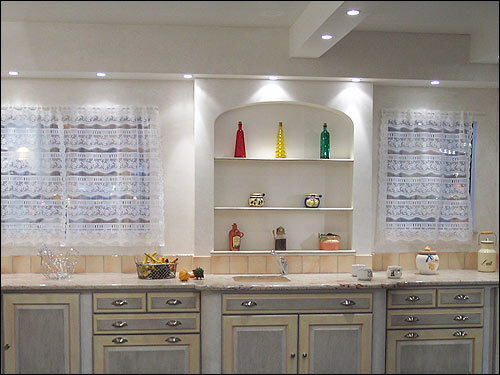 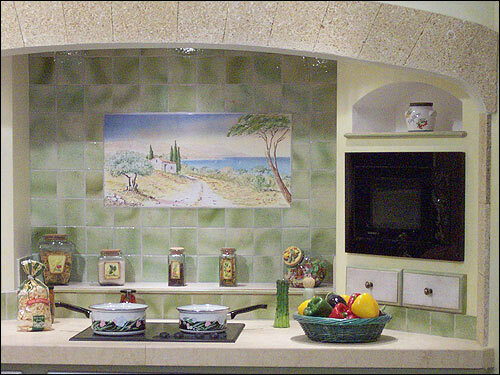 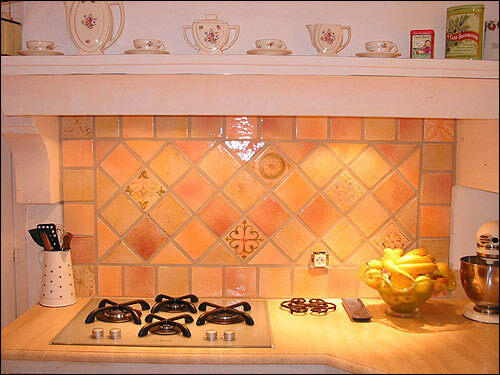 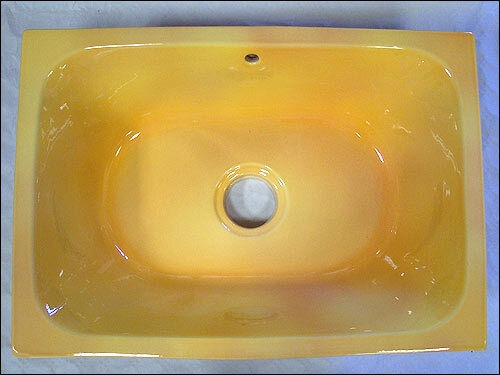 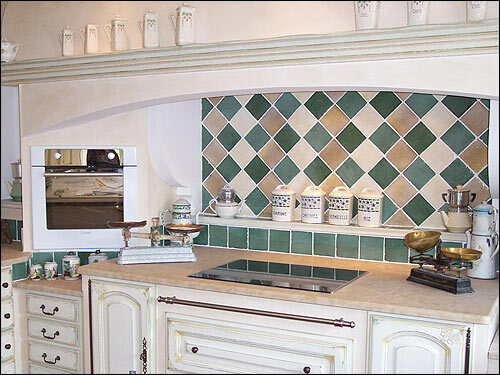 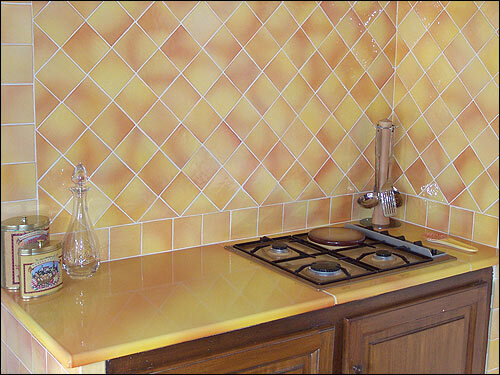 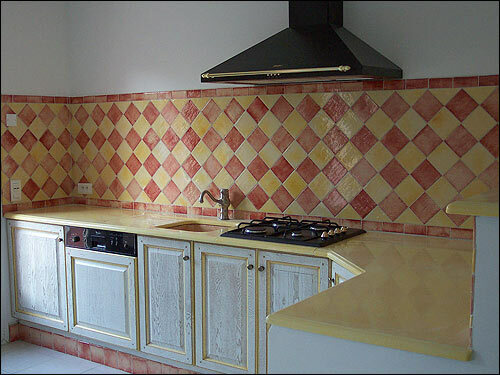 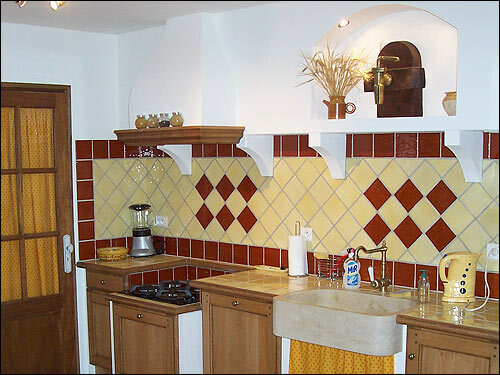 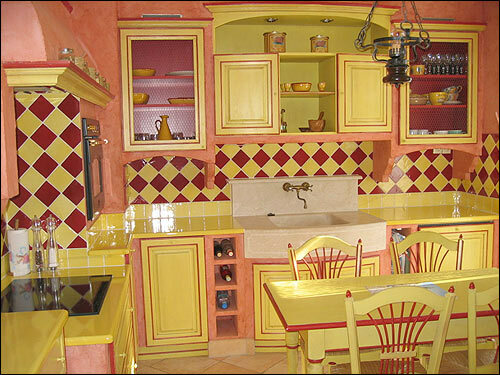 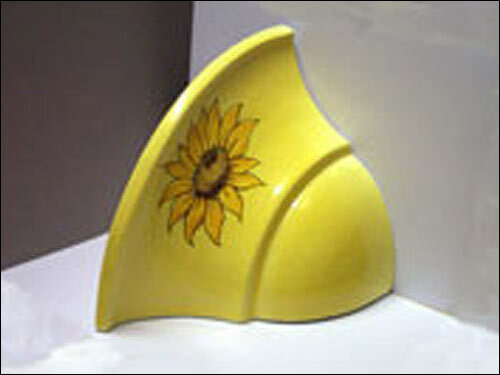 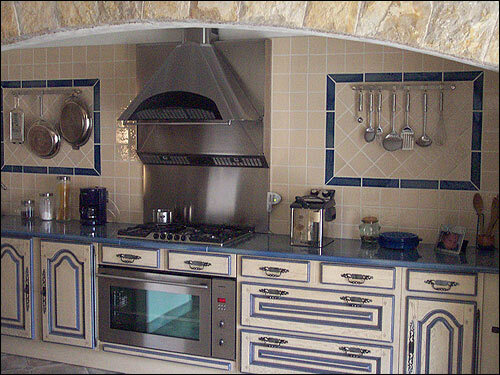 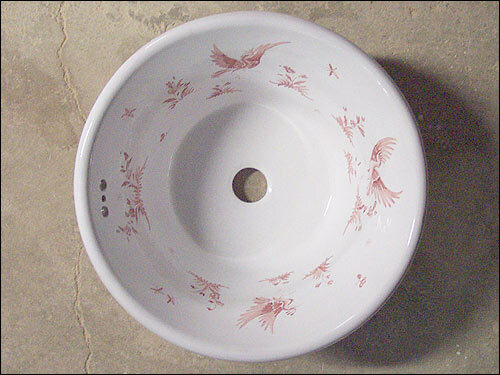 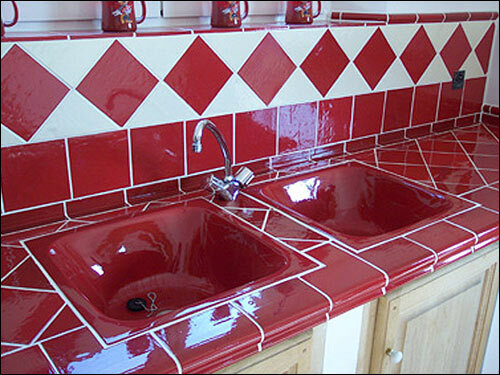 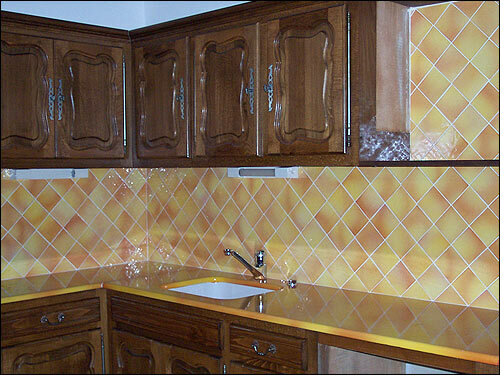 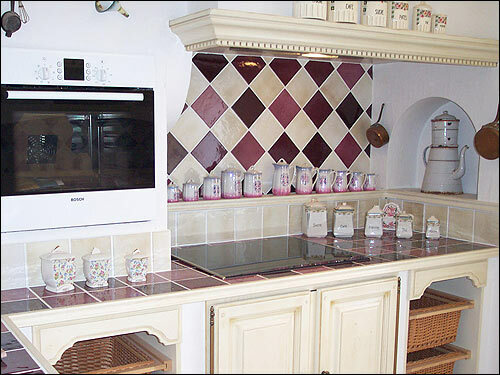 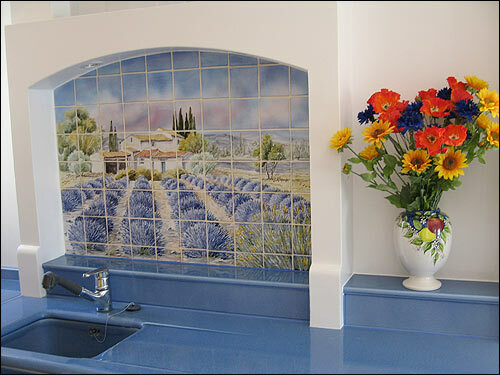 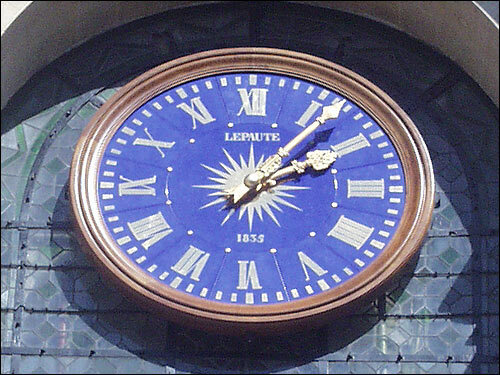 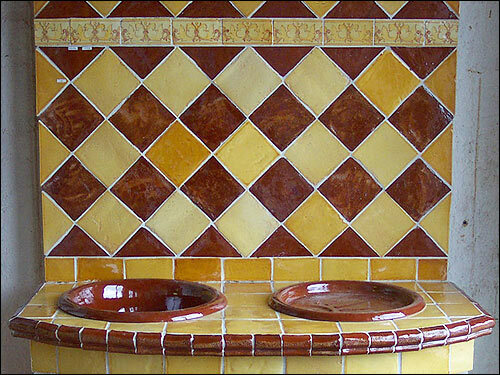 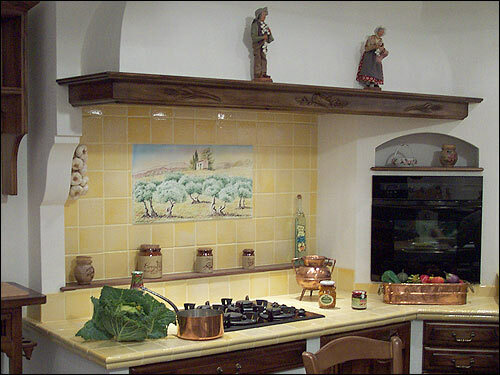 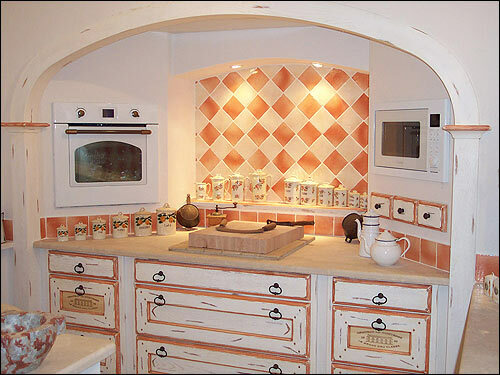 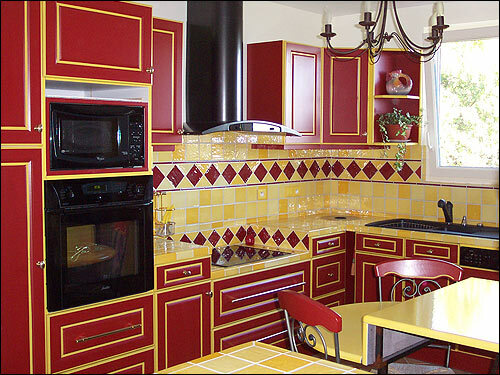 We create different products out of natural or glazed terracotta, also in glazed and decorated lava (kitchens, bathrooms, "tins provençaux", basins, tiles, applied ornaments, draining boards, tap plates, clocks, house name panels, work tops, sanitary installations...). 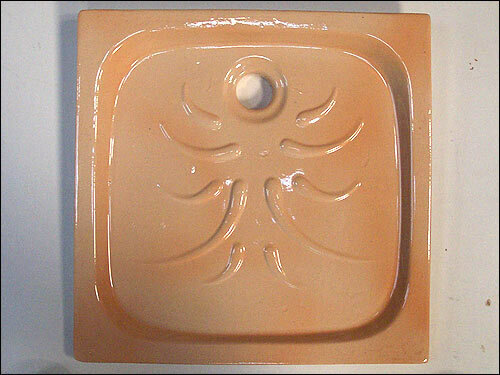 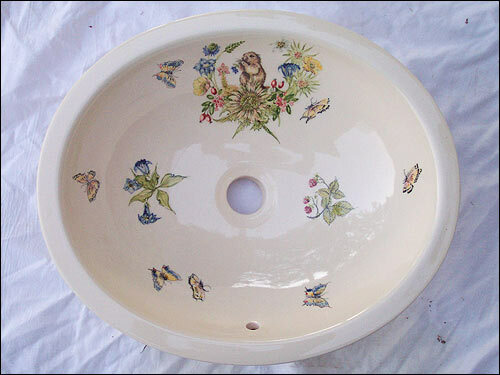 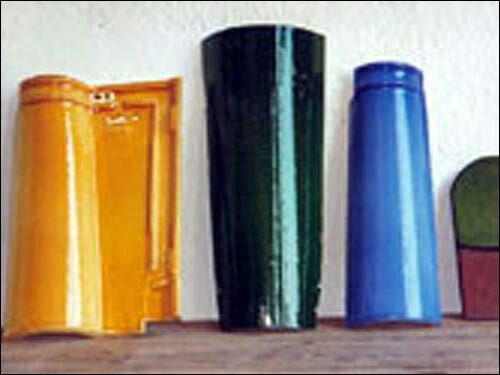 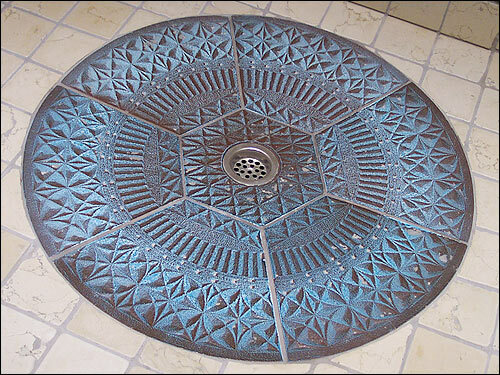 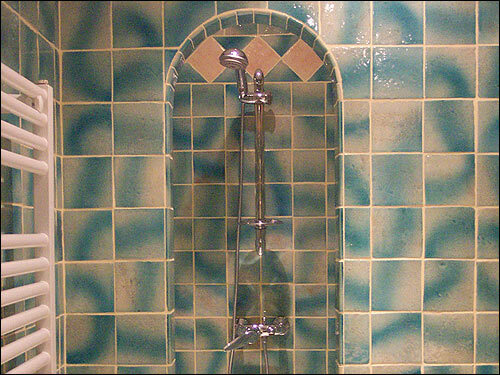 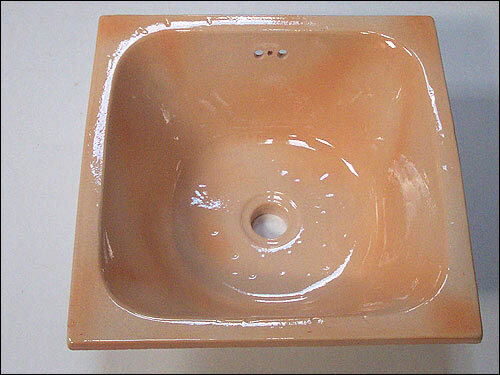 can be made out of sandstone or glazed terracotta. 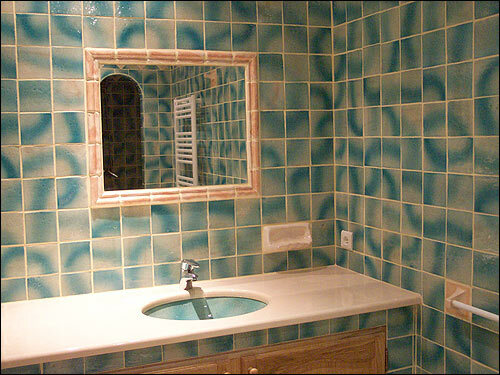 And naturally all of your own special creations or copies!! 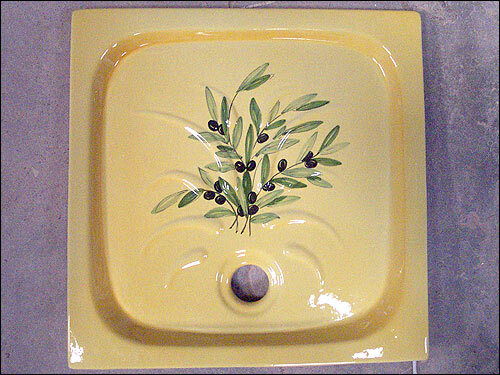 Sandstone square tiles 13 cm yellow, scene "The Olives"